As a nonprofit leader, you're also a language leader. Your ways of speaking and writing can unleash organizational capacity — or restrict it. This is especially true with cultural competence. Cultural competence — the ability to work effectively across a variety of cultures — begins as a conversation among people who see the world differently. As you lead your organization into this conversation, consider the following guidelines. In the nonprofit world, cultural competence is still a loaded topic. People who will readily admit their problems with an email server or grant proposal might avoid discussions about how they communicate or work with those of other backgrounds different than their own. Cultural competence is often seen as a “soft” skill — inherently less important than “hard” skills such as fundraising and governance. Effective conversation about cultural competence takes sustained effort over time — far more than an annual “diversity day” or isolated meeting with a consultant. Cultural competence engages our emotions as well as our intellect, taking us outside our comfort zone. Our individual experiences of race, class, and ethnicity are complex, making it hard for us to believe that others can even begin to understand us. People from marginalized cultures can internalize their experience of discrimination, focusing on their deficits rather than their strengths. One solution is to openly admit these challenges from the very beginning. Also remember that cultural differences are always present — even when everyone at the table looks alike. Members of the same racial or ethnic group can still differ greatly along the dimensions of age, gender, physical ability and sexual orientation. This definition goes beyond race and ethnicity to include more narrowly defined groups — for instance, the cultures of deaf people and urban gay men. 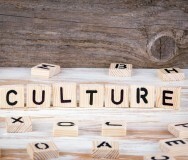 Your nonprofit also has an organizational culture that is based on a unique set of norms. We have intersecting identities. Each of us belongs to multiple cultures based on race, ethnic background, gender, social class, language and other factors. Culture is both visible and invisible. The visible aspect includes differences in overt behaviors — for instance, how people dress, what they eat and which holidays they observe. Below the surface are the unspoken beliefs that shape those behaviors. Cultures offer widely different answers to questions such as: What does it to be “on time”? When is it okay for me to make direct eye contact with another person? And how closely do I stand to other people during a conversation? Each culture has internal diversity. “American” culture, for example, includes the ethos of large cities as well as rural communities. We can also distinguish between cultures of the West coast, East coast and Midwest. In addition, members of each culture can still demonstrate a variety of beliefs and behaviors. Cultures are dynamic. They change over time. For example, American culture once excluded women from voting and serving in the armed forces — norms that no longer hold today. Individuals can also acquire a new culture through major life events such as moving to a different part of the country, retiring from work or becoming disabled. With cultural competency, there is no entry by default. People of color, for instance, might still cling to stereotypes about members of gay, lesbian and transgender cultures. Cultural competence is a journey — not a destination. It is not a subject that we either pass or fail. As individuals and organizations, our work in gaining cultural competence is never done. Cultural incapacity. Clients, program participants and volunteers are expected to adapt to existing programs and services. Stakeholders are asked to leave their cultures at the door and embrace the organization’s culture as the most viable option. Cultural blindness. Staff members are encouraged to believe that people are more alike than different. Leaders assert that “best practices” will adequately meet the needs of all stakeholders — regardless of ethnicity, race, religion, sexual orientation, national origin or class. Cultural precompetence. Staff members and leaders recognize the need for culturally responsive programs and services. However, cultural competence is not reflected in the organization’s mission statement, vision, goals and other strategic planning documents. Staff members lack the knowledge needed to develop culturally sensitive behaviors. Cultural competence. A diverse team works with full leadership support to assess the organization’s current level of cultural competence. Strategic plans include specific goals for cultural competence and scheduled steps for achieving them. When it comes to cultural competence, everyone from the executive director to the receptionist can be a teacher and a learner. None of them can see a situation through the lens of every culture. But they can create a space where all the stakeholders get heard.